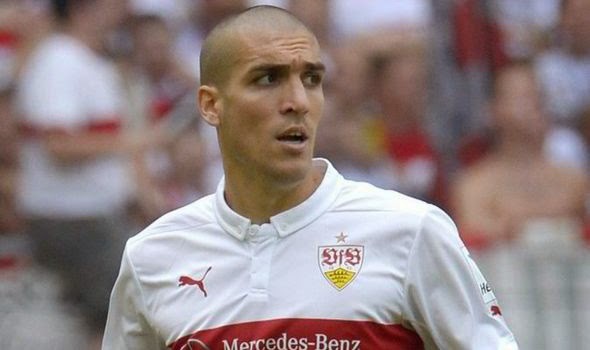 Oriol Romeu moved on loan to Stuttgart shortly after signing a new three year deal last summer. Having been fully involved in their league campaign so far, he is refusing to rule out a permanent move to the Bundesliga. The whole situation with Romeu was confusing to say the least in the summer. After spending last season on loan; seemingly not in the plans of the manager, he came back to Chelsea for pre season and was handed the new deal. It seemed as though he would then become an important member of the squad but as we all know, he now plays his football in Germany? "My main objective is to improve my game and I think I can still improve a lot. The Bundesliga is a good league to grow and to become a better player. We'll see what happens, but now I'm focused on the present and helping the team. I don't know what will happen in the next few years but I will never say no to staying in Stuttgart because they have treated me amazingly so far and I'm really happy here. The Spanish league is a bit slower and more technical. In England and Germany everything is quicker and more physical. Counter attacks are something you see much more of in those two leagues. Those are the main differences for me. The [German] league is growing, and has grown a lot in the last few years. That's why people are coming here from other countries, not only from Spain. On television you can see that the stadiums are always full and the atmosphere is huge and really enjoyable, so for a player to come here and play it's an honour." Do you not agree that the whole situation with Romeu is strange? Surely looking at his ability with the ball at his feet, he would be an ideal replacement in the side for Nemanja Matic rather than Mikel? After the injury problems he has had to deal with it's important that he gets as much first team football as possible and for the time being it seems that is away from Stamford Bridge. I cannot help but feel that if Chelsea do not make use of his ability in our short sooner rather than later, we would have really missed out on a strong talent in his position. Let's hope he has a good season in the Bundesliga this term!